This renovation includes an impactful staircase that leaves a lasting impression for anyone entering this basement. This basement stairs design makes great use of the area underneath the staircase by incorporating a custom built-in 36 bottle wine rack storage system, wine fridge, glass storage shelves and spirits. 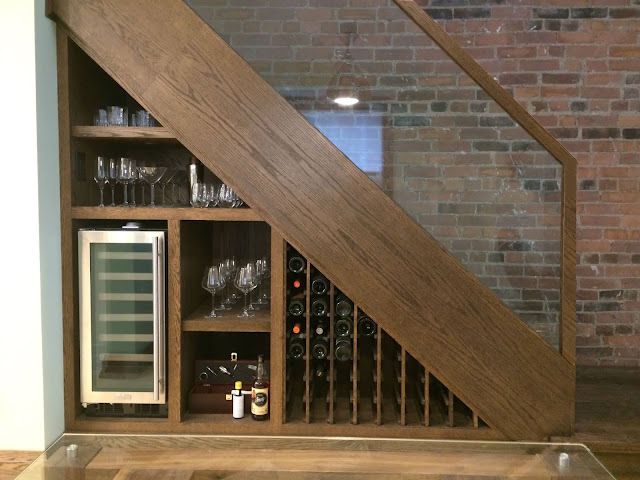 Let us know what you think of the design for this custom basement staircase.